Bankruptcy may seem like a cure-all for your financial problems, but it also comes with a lot of baggage. While declaring bankruptcy gives you relief from your debt woes, it also causes grief where your credit is concerned. It's important to make sure it is the right choice for you. 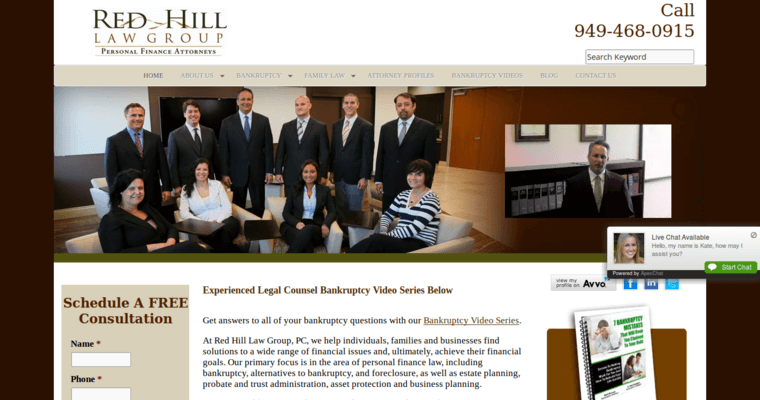 The attorneys at Red Hill Law Group have the experience and expertise you need to evaluate your situation, consider alternatives and then file your bankruptcy case if that is what's needed. 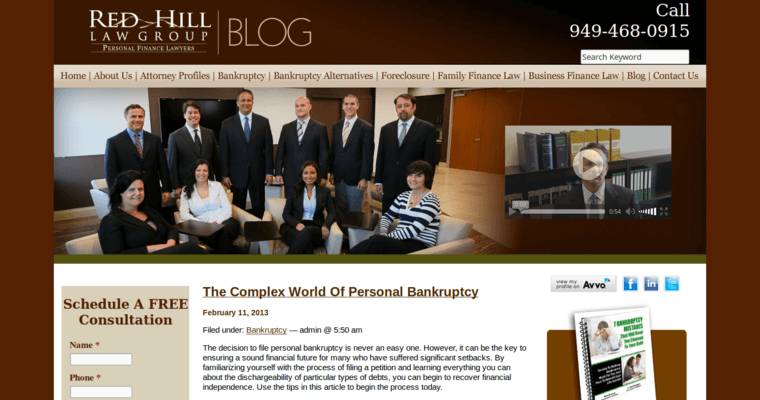 Red Hill Law Group specializes in personal bankruptcy using Chapter 7 and Chapter 13 filings and also does Chapter 11 filings for small-business owners. Principal attorney Bert Briones is a certified bankruptcy specialist. 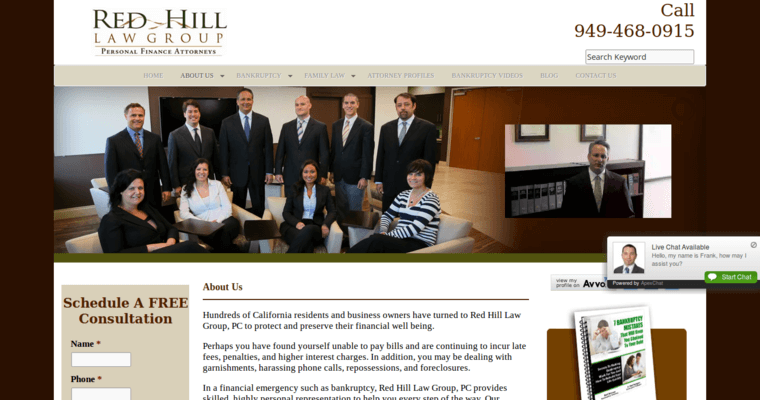 If you live in Southern California and think bankruptcy may be your best option, call Red Hill Law Group today to set up a consultation to discuss your case.